Madison is a town in Madison County, Virginia, United States. The population was 210 at the 2000 census, and it is the least populated town in the state. It is the county seat of Madison County. Several places are noted in Madison that are on the National Register of Historic Places. Included are the Hebron Lutheran Church, the Homeplace, James City Historic District, Madison county Courthouse, Madison County Courthouse Historic District, and the Woodbourne home. The Woodbourne home is a historic home and farm located in Madison. The house was built somewhere between 1805 and 1814. It is a two story home with a gable-roofed brick structure. The home has a front porch and two story frame wing, and one story rear frame wing. Sitting on 53 beautiful acres, the Flemish bond brick home has undergone restoration in the 1990’s with care and consideration for its historical importance. Other homes in Madison also have some old architectural charm. If you own one of these homes, you understand the importance of keeping the historical integrity of the building. When repairs or upgrades are made on older homes, the owner must ensure that the contractor understands that they need to use appropriate materials and techniques to ensure this integrity. For example, replacing an older style of window with anything other than a custom window made to match is not something you want to let happen. At Cavalier Window Cleaning, we understand how important it is to use the proper techniques and materials that ensure the historical integrity of your building will survive. We have performed many such services in the Charlottesville and surrounding areas. We provide several services to the Madison area as well including Window Cleaning, Power Washing, and Gutter Services. Trust Cavalier Window Cleaning to clean and service your windows and screens. Let us help you to enjoy the view to the outdoors once again. We not only clean your windows spotlessly, but also ensure that your screens won’t stand in the ways of your view. Screens are important to clean also because when the window is open, any dust or dirt on the screen can blow into your home. We want you to have fresh air to breathe when you open that window! We professionally power wash exterior surfaces of your home. 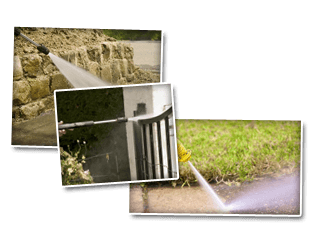 There is much more to power washing here in Madison. You must know when and where to use power washing or the materials being cleaned can get damaged, especially on historical or older structures. We care for and respect your property. Gutters not only ensure that the rain runoff won’t come pelting down on you from your rooftop, but they also serve to protect the house from water from accumulating on the roof. Whether you need your gutters cleaned out or repaired, our experienced contractors can help you. We also offer gutter protection installation services to ensure that your gutters stay as clean from debris as possible. If you are looking for a Madison window cleaning & Power Washing Company then please call 434-823-1737 or complete our online request form.